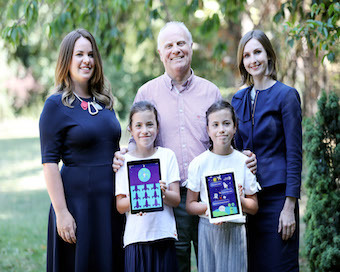 Irish MedTech firm Beats Medical, founded by Dr. Ciara Clancy, has partnered with Vhi on a new children’s digital therapy app service. 82% of children with Dyspraxia are missing out on crucial treatment and therapies due to long waiting lists and financial constraints. Digital therapeutics company Beats Medical has launched a new innovative app for children with Dyspraxia. The company is partnering with Vhi, to provide direct reimbursement for the new innovative therapy technology app for children. The app which is called ‘Beats Medical Dyspraxia App’ is the first-of-its kind and will bring tech-based exercises and interactive games to children in the home daily. The app will not replace specialist care but will augment existing care. The app uses a game based interface and is focused on a space and galaxy theme in order to appeal to both girls and boys. The game levels can be adapted to suit the age of the child. Dyspraxia, or ‘Developmental Coordination Disorder (DCD)’ is a common neurological disorder affecting fine and / or gross motor coordination in children and is believed to impact one in ten children. It can affect a child’s speech, fine and gross motor skills including; walking, coordination, balance, dexterity, handwriting and communication and it can persist into adulthood if not treated. Physiotherapy, speech and occupational therapy have been shown to help promote development of these skills. However, recent research from the Dyspraxia Foundation of Ireland found that 82% of children with Dyspraxia are missing out on crucial treatment and therapies due to long waiting lists and financial constraints.